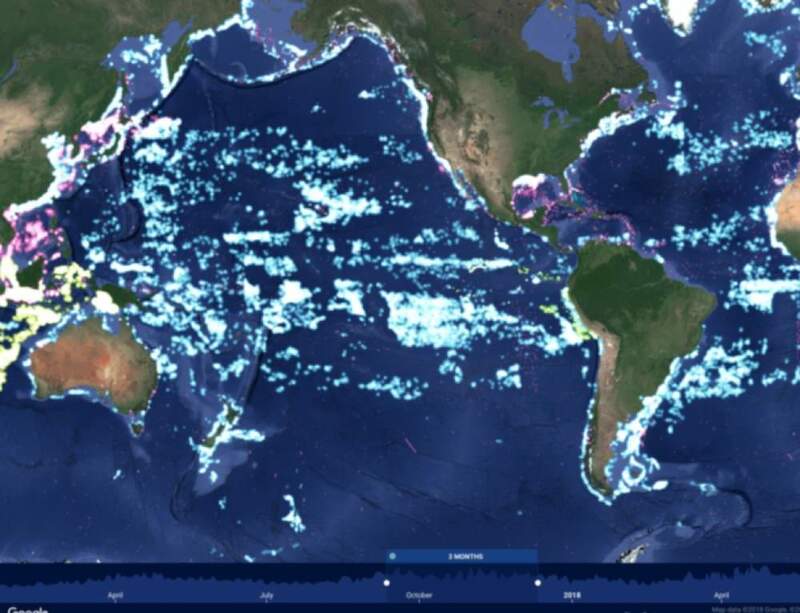 Earlier this year we published in Science the first global assessment of fishing activity using AIS data, providing an unprecedented view into the activity of tens of thousands of large, industrial fishing vessels. 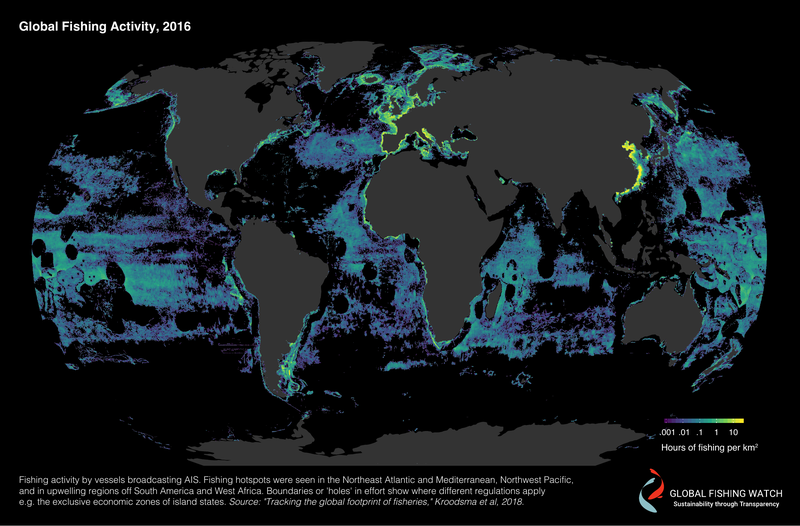 We’ve made these fishing effort data publicly available, which is now leading a slew of advances in our understanding of fishing in the world’s oceans. Today in Science, another paper has been published using our data. A team of researchers, led by Dr. Ricky Amoroso, analyzed our dataset to argue that a much smaller fraction of the ocean is “fished” than we stated in our paper. In response, in the same issue, we published a comment where we explain and justify our original estimate. Below we describe this comment and response, why I think it is a useful conversation, and why I think it demonstrates the importance of making fishing effort data public. In our original publication, we found that over half the ocean was fished by large industrial vessels. To estimate this figure, we divided the ocean into a grid with cells about 50 km wide, and we then counted the number of these cells in which our algorithms identified fishing behavior. This grid cell size was chosen partially because it is the scale of current global catch databases, and because it seemed like a conservative estimate in the area of ecosystems affected by fishing (more below on this). Amoroso et al. argue that our grid size was too large, leading us to overestimate the true footprint of fishing. 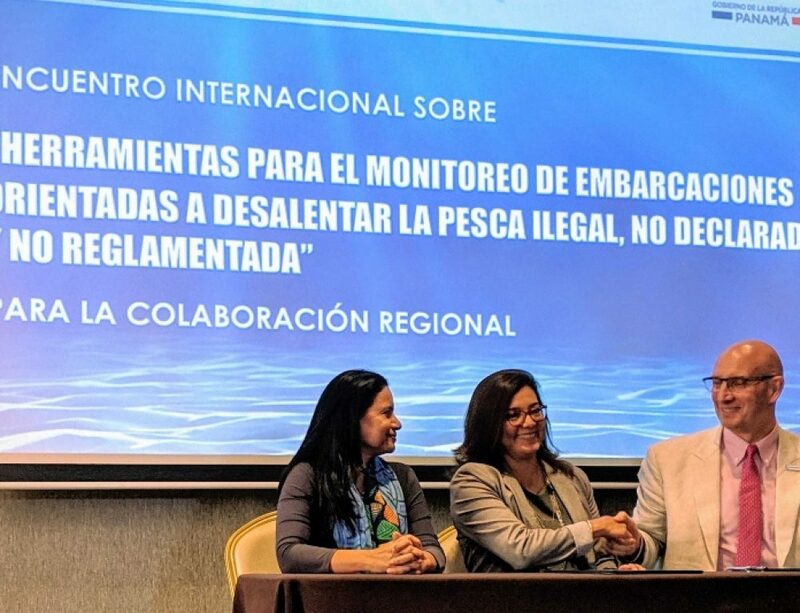 In their comment, they focus on the area of seabed disturbed by trawling gear, which is one of the best known and most intensive impacts of fishing. If we measure just the area swept by trawling gear, we get a much smaller area of the ocean “fished.” Amoroso et al. argue that the area swept by this gear is the direct footprint of fishing, and that our larger grid size constitutes more “diffuse” impacts that should not be compared with agricultural area and should not be a headline number as we have it in our paper. We disagree that the scale was inappropriate for the questions we addressed, and especially for the general comparison with agricultural area. As I wrote in an earlier blog posting, most agricultural land is used for grazing, and when measuring this area, we measure the area of ecosystems that are grazed, not the area used by humans to transport cattle to slaughter. Although fishing for seafood differs from farming in that fish are wild and livestock are domesticated, many livestock graze on semi-natural grassland ecosystems, much like wild fish are sustained by wild (but human-altered) marine ecosystems. The comparable area in food production is the extent of the ecosystem that supports the fish we catch, not just the tracks of fishing vessels. In our response, we give examples of how far different targeted fish travel, showing that we need to use a large grid cell to capture the area of affected ecosystems. Many targeted species travel much farther than 50 km, and many species of tuna travel hundreds of kilometers in a given year. Our grid cell size of about 50 km is a conservative estimate. Below is a figure from our response which illustrates this concept for trawlers, drifting longlines and purse seines. The dark blue shows the highest resolution of our dataset, which has grid cells about 1km on a side. The light blue shows what happens if you measure, from each fishing event, the distance that the fish targeted might travel in a given year. For trawlers operating in the Adriatic Sea (Panel A), a commonly targeted species is the European Hake, the distance a hake travels in a year averages about 25 km, but can be as much at 200 km. In the Pacific, longlines (Panel C) and purse seines (Panel D) often target yellowfin tuna, which cover, on average, an area 500 km across in a year (citation), and the light blue shows a distance of 500 km from each fishing location. The light blue on the maps gives a (very) rough, illustrative estimate of the area of ecosystem fished, while the dark blue gives an idea of the exact areas fishing gear sweep the ocean. Depending on the specific question of impact (area swept by fishing gear versus area of ecosystem affected), one can get very different figures for area. The estimate of fishing footprint in our paper is closer to the light blue map than the dark blue, as we were more interested in the area of ecosystems fished. Ultimately, both us and Amoroso are right — we just asked different questions. And that is, I think, one of the most exciting things about a global dataset such as the one we created — it has many different applications. Amoroso et al. focus on one type of environmental impact, the disturbance of seabeds by trawling gear, while we focus on another. This dataset can be applied to many other research topics, ranging from bycatch to carbon emissions — and many researchers are working on these questions and more. By making fishing effort data public, we empower people to apply the dataset to answer different questions. We are excited to see what it reveals next.